In the days before the introduction of the civil registration in 1811 (or slightly earlier in Limburg and Zeeuws-Vlaanderen), the only legally recognized marriages were those performed before the court or by the Dutch Reformed church. Roman-Catholic couples usually married in the Roman-Catholic church as well. Be sure to always check both types of records because one may include more information than the other, as the following example will illustrate. 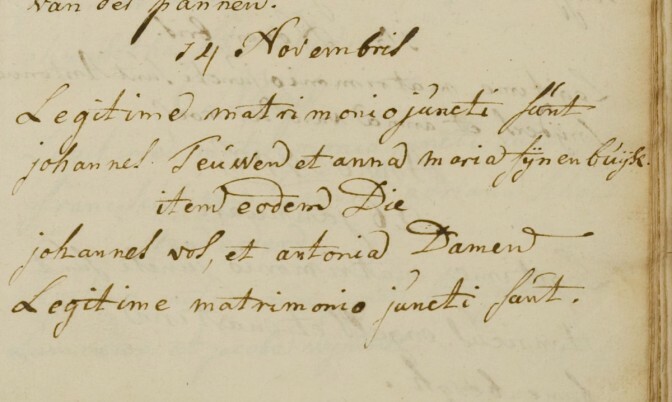 This Roman-Catholic marriage record, in Latin as is common in the Catholic church, has the following information: On 14 November , Johannes Vos and Antonia Damen were joined in marriage. It does not give any information about the spouses, not even their marital status prior to this marriage. The record before the court of aldermen has a lot more information: Jan Vos, last widower of Anna Verhoeff, born and living here [Geertruidenberg], to Antonetta Damen, widow of Willem Slotveld, born in Terheiden and also living here, have had banns published with consent of those who have a say in this, to have in accordance with the order of the country, three marriage proclamations, and if they go orderly and without opposition, be joined in the state of matrimony. 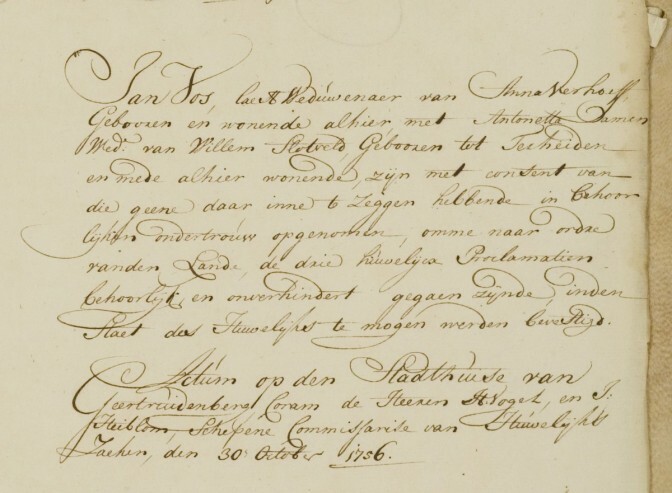 Created in the town hall of Geertruidenberg before Mr. H. Vogel and J Heiblom, aldermen commissioners of marital affairs, 30 October 1756. If I had stopped after I found the Roman-Catholic record, I would have missed all this information about the previous spouses and places of birth. 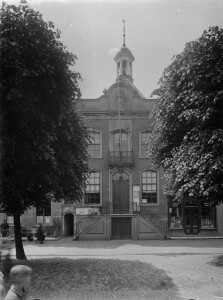 The aldermen’s record also tells me exactly where they were married (Geertruidenberg town hall), which allows me to search for photos to illustrate their story.